Refined fibre may be bad for your liver… eat natural fibre instead! The annual HARP (HIV and Related Programs) Forum held this month was attended by people from government and community working across the viral hepatitis, HIV and STI sectors. 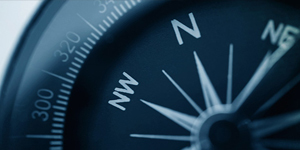 As government and non-government organisations work towards ending HIV in NSW by 2020 and the elimination of hepatitis C by 2028, the challenges are many and complex, but the opportunities provide pathways to meet these goals. In the opening session, the heads of sector organisations shared their thinking on the opportunities and challenges for affected communities today and in the coming years. Stuart Loveday, CEO of Hepatitis NSW, described some of the strong partnerships that exist as we strive for elimination of hepatitis C in ten years’ time, focusing on those which could benefit from further strengthening. Stronger partnerships between Hepatitis NSW, the 15 Local Health Districts (LHDs) and the statewide Justice Health and Forensic Mental Health Network will see enhanced service delivery for people living with hepatitis C and/or hepatitis B. There have been some fantastic examples of this closer partnership approach, including Hepatitis NSW’s recent work with the Western NSW LHD and the local Primary Health Network to enable Aboriginal people in the central western NSW area undertake hep B testing. 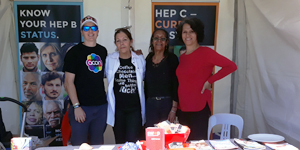 Also, our partnership with ACON and SWOP and local nurses at the recent 48th Koori Rugby League Knockout in Dubbo resulted in many people being tested for hep B, hep C, HIV and a range of sexually transmitted infections. In the drive to eliminate hep C among people who inject drugs or might be likely to inject again, the new formal partnership between Hepatitis NSW and NUAA will see our two organisations work more closely together to ensure wider coverage, and that no duplication of services occurs. Community based education and peer based work – to raise awareness and help mobilise people attending drug health services to access treatment and cure – are best done in close partnership with locally based clinical services where many people with hep C are accessing healthcare. When nurses from the LHD are on hand at the same time as peer workers, their working in partnership can ensure that better outcomes in the uptake and quality of treatment are achieved. Hepatitis NSW will soon agree an action plan for Test Cure Live – a new initiative from Hepatitis Australia with funding from the Australian Government to raise awareness of hep C cures among people who contracted hep C through sharing drug injecting equipment many years ago and may not know they have hep C. Test Cure Live also aims to reach the ten per cent of people who contracted hep C via blood-to-blood contact through means other than drug injecting. 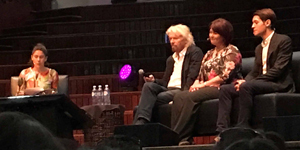 Without a doubt, the way forward to elimination of hep C and hep B is to ensure respectful, collaborative and formal partnerships are enhanced. Hepatitis NSW supports this campaign and is a partner to it, along with other Australian state and territory hepatitis organisations. Apart from the stigma and needless suffering caused by existing policies, it is our position that the current punitive framing of injecting drug use as a “criminal issue” makes it more difficult to not only prevent the transmission of blood borne viruses, but also to locate, treat and cure people living with hep C. We strongly encourage people to sign up their support for this campaign. Hepatitis NSW urges everyone to add their not and support this this important cause.